The Denny’s adjacent to Union Station is open during construction of the Patsaouras Plaza Busway Station. 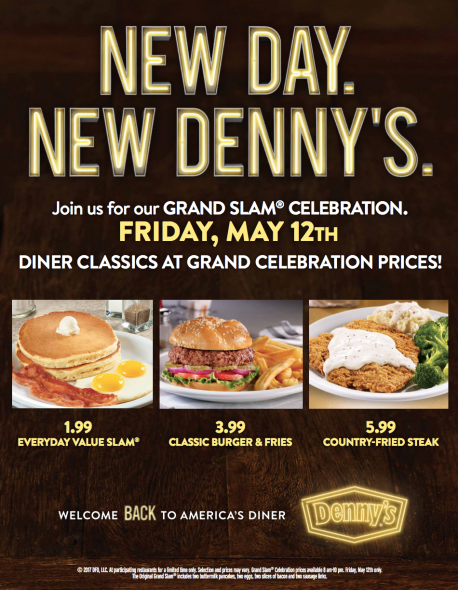 Head over this Friday for their Grand Slam celebration. Show your valid TAP card and receive a 10% discount on your bill. Whoa, when did construction of the Silver Line ‘busway’ station start? Metro has been hiding this delay for quite a while. Work really ramped up in January. Not hiding — we’ve tried to push out info about the ramp closures between Vignes and the 101 and for those in the area the work is clearly visible!